What is the difference between the new BigShot i/o and the original? The only differences between the original (legacy version) and new BigShot i/o are aesthetics and the addition of the LEDs for visual feedback. 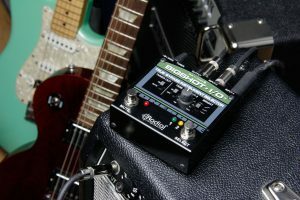 You can operate the new BigShot i/o with or without a 9V Boss-Style adapter, the power is only used to illuminate the LEDs. Can I use batteries to power the LEDs? No. We wanted to make the BigShot i/o compact and affordable, and since most players that need LEDs to manage their setups also have power bricks, we felt the added cost of a battery compartment was not needed. 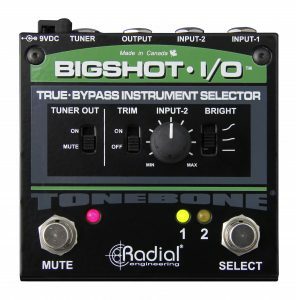 Can I use the BigShot i/o to switch between guitar and keyboard? Yes! Just keep in mind that keyboards have a lot of output because they generally have powerful buffers driving their signal. If you plan to use the BigShot i/o to switch between a guitar and a keyboard, connect the keyboard to input-2 and engage the trim control to match the two signal levels. 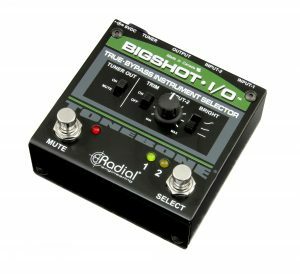 Can I use the BigShot i/o for microphones? You could, but it would only work with unbalanced mics that employ ¼” output jacks. You will want to use the HotShot ABi™ to switch between two microphones. 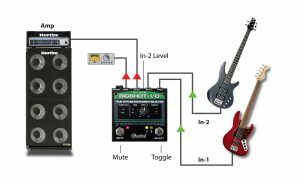 How do I decide which guitar to connect to input 1? You will always want to connect your ‘hotter’ instrument to input-2 as it can be attenuated by engaging the ‘TRIM’ control. This will allow you to match the level of both instruments. Can I mix two instruments so that they are both on at the same time? No. 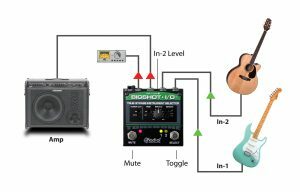 The idea behind the BigShot i/o is to allow the musician to switch between two instruments on stage, and ensure the one that is not being played is completely turned off. 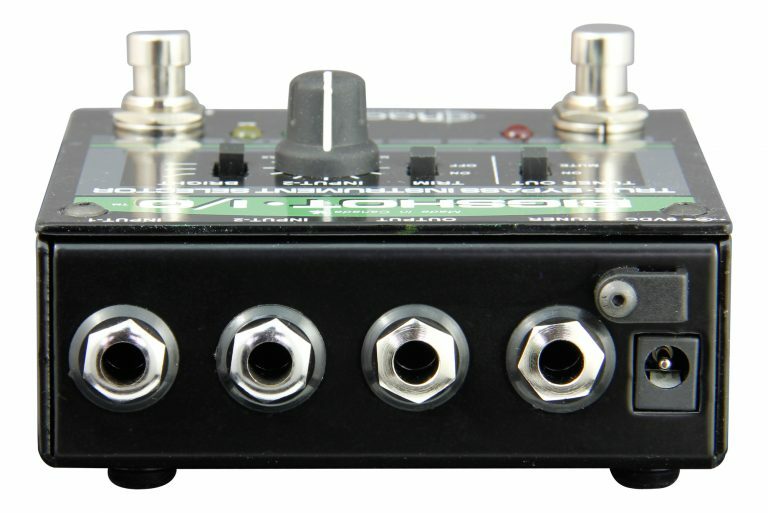 This eliminates stage noise and reduces opportunity for runaway feedback. 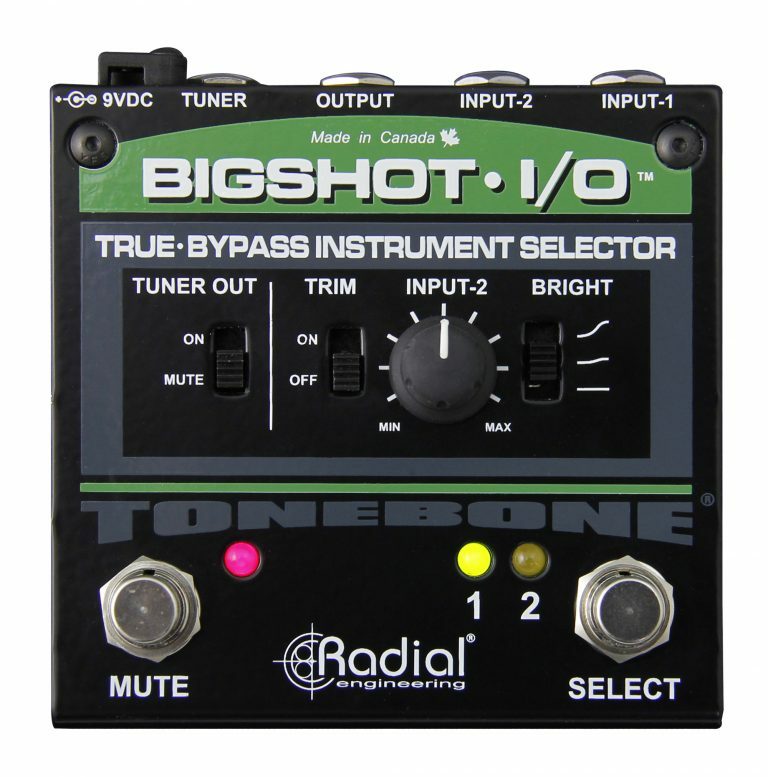 Can I use BigShot i/o to switch between two acoustic guitars and output it to a Radial direct box to send to FOH? Absolutely! It will work very well. 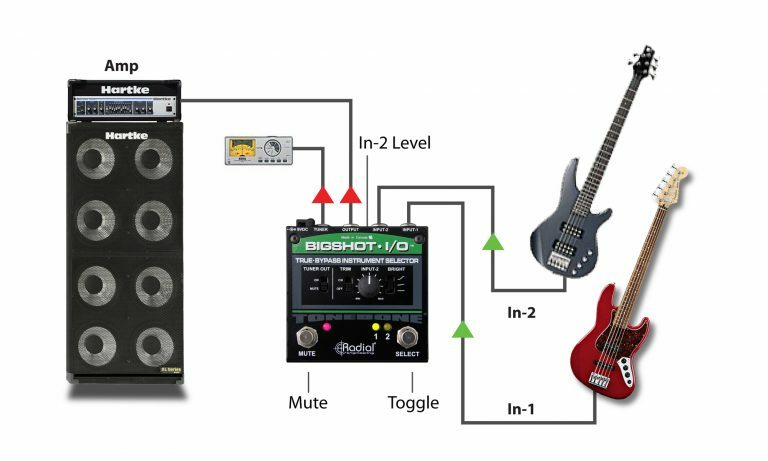 Can I use the BigShot i/o as an AB box to select between two amps? Yes! 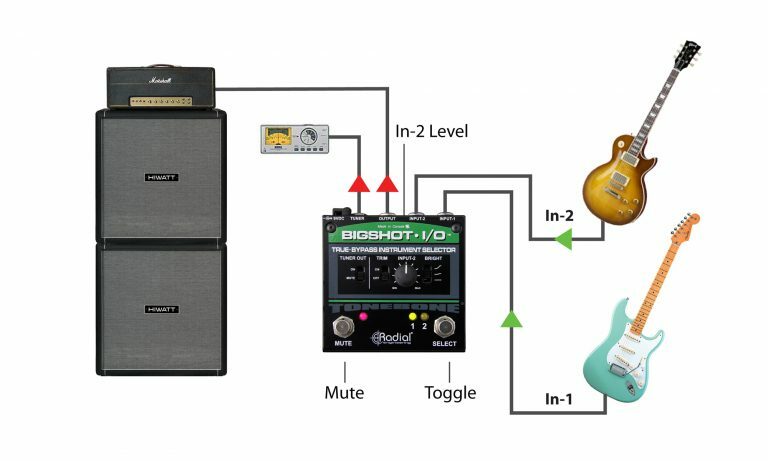 You can run it in reverse (input 1 → amp 1, input 2 → amp 2, output → guitar) to switch between amps or you can run two amps at once by taking the tuner output to a second amplifier. Do note that ground loops may occur as the tuner output is not transformer isolated. The BigShot ABY™ is the better choice for these applications.